Sydney jockey Jay Ford will ride Destiny’s Kiss against his Everest day St Leger winner Big Blue. The horse who delivered Jay Ford a stakes win on Everest day will be enemy No. 1 when the jockey chases his second successive victory in the City Tattersalls Club Cup at Randwick. Ford scored an upset St Leger win aboard Big Blue last weekend and trainers Ciaron Maher and David Eustace will try for a repeat performance in Saturday’s Listed race. But it will be without Ford who had a prior commitment to Destiny’s Kiss, the horse he won the City Tattersalls Club Cup on 12 months ago. “Running Big Blue was an afterthought and I was already committed to Destiny,” Ford said. That’s not to say Ford isn’t pleased to be on Destiny’s Kiss. Deft on rain-affected tracks, the gelding is a specialist over the Randwick 2400 metres winning six of his 11 starts over the course and distance. Ford has been aboard for his past two wins in the McKell Cup in May and last year’s City Tattersalls Cup and describes Destiny’s Kiss as “an old marvel”. “He’s only a little fellow but he’s all heart,” Ford said. 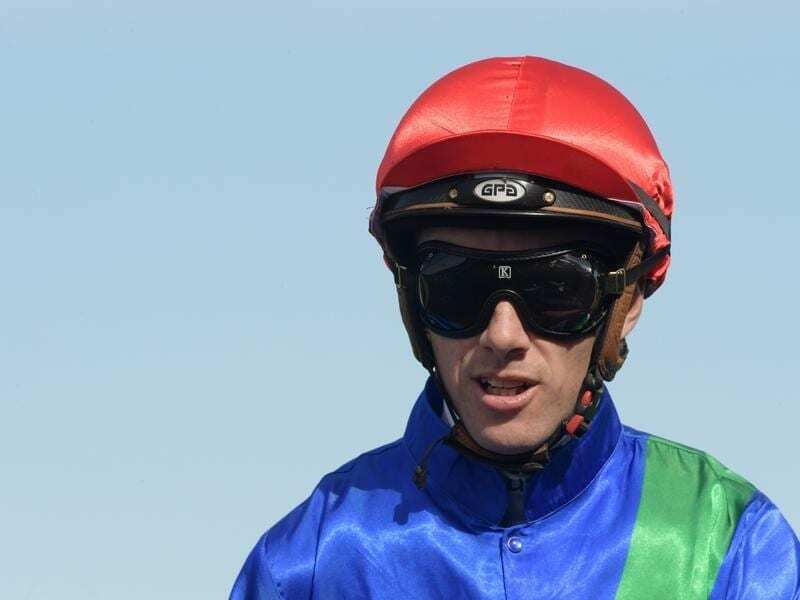 “He’s been running around in Newcastle Cups and Wyong Cups where he’s just been a couple of lengths off them. Ford has rides in all three stakes races at Randwick on Saturday, reuniting with the Chris Waller-trained Charge in the Brian Crowley Stakes (1200m) while he rides Perizada for the first time in the Nivison over the same distance. Placed in the Rosebud and Heritage Stakes, Charge will be out to bounce back from his last-start fifth in the Roman Consul Stakes when he raced keenly. “He’s still working out the racing caper but he possesses a lot of ability,” Ford said. Sydney will be Ford’s main focus over the spring carnival although he will be in Melbourne on Cox Plate day when he is booked to ride Miss Admiration for Mick Price in the Moonee Valley Gold Cup.